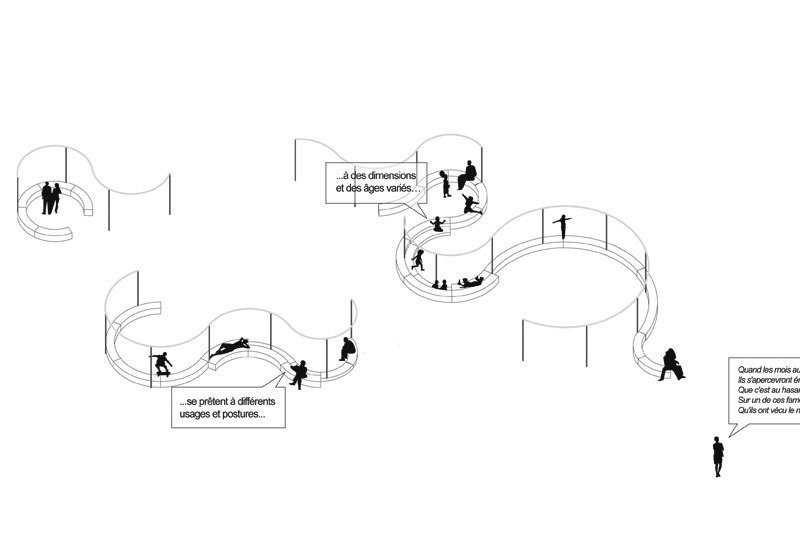 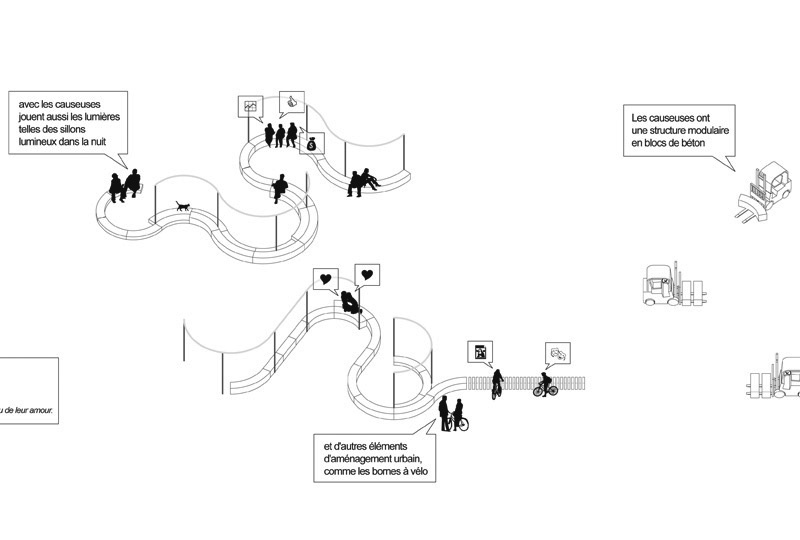 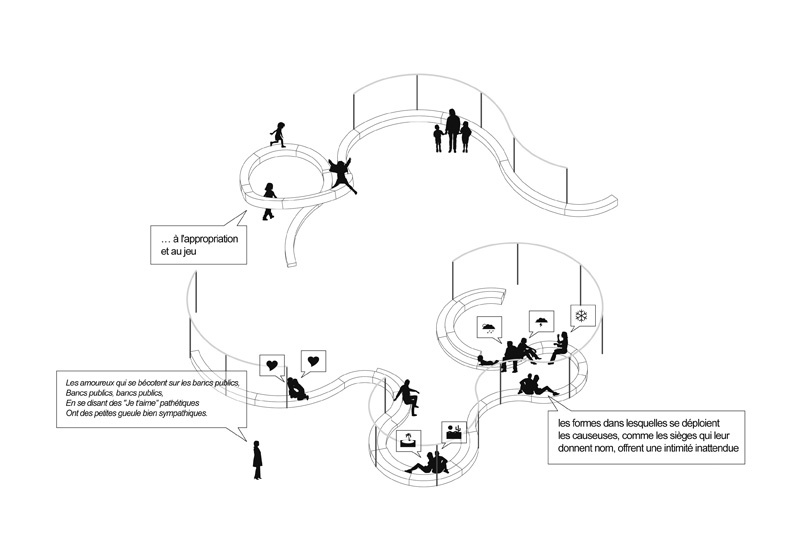 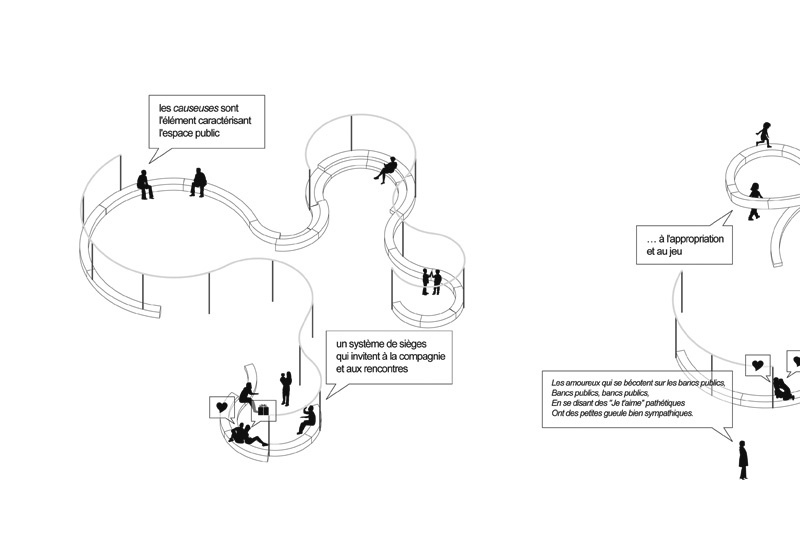 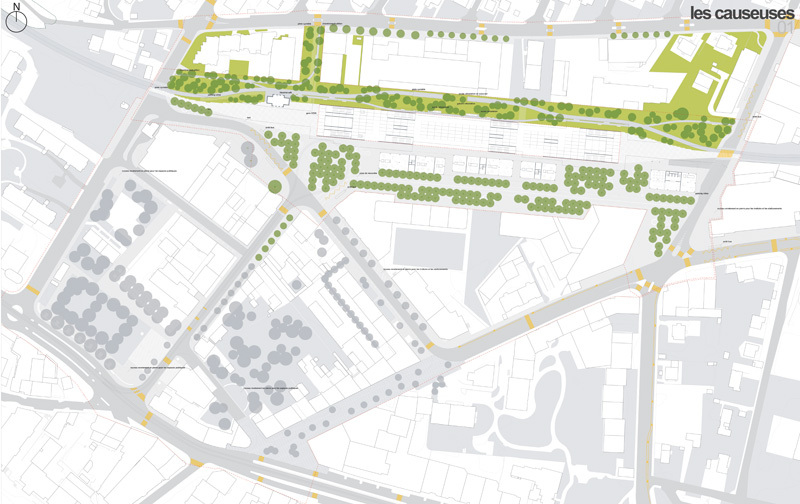 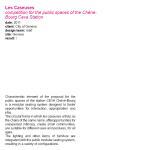 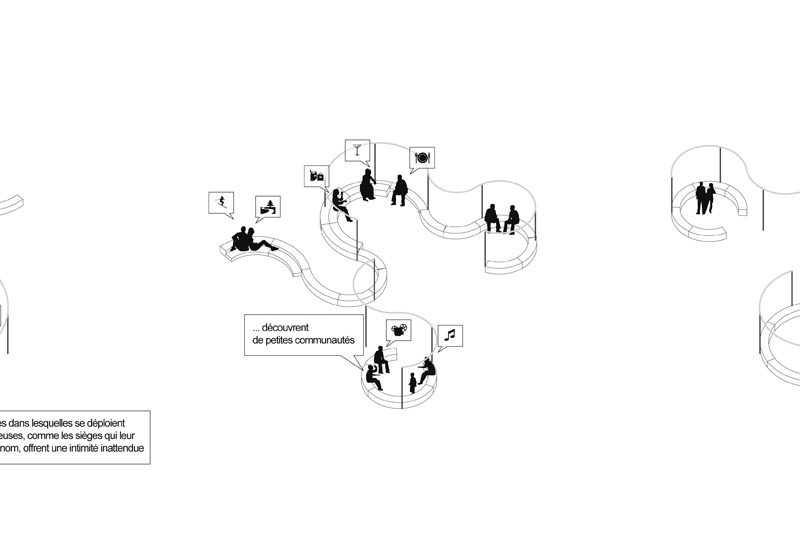 Characteristic element of the proposal for the public spaces of the station CEVA Chène-Bourg is a modular seating system designed to foster opportunities for interaction, appropriation and play. 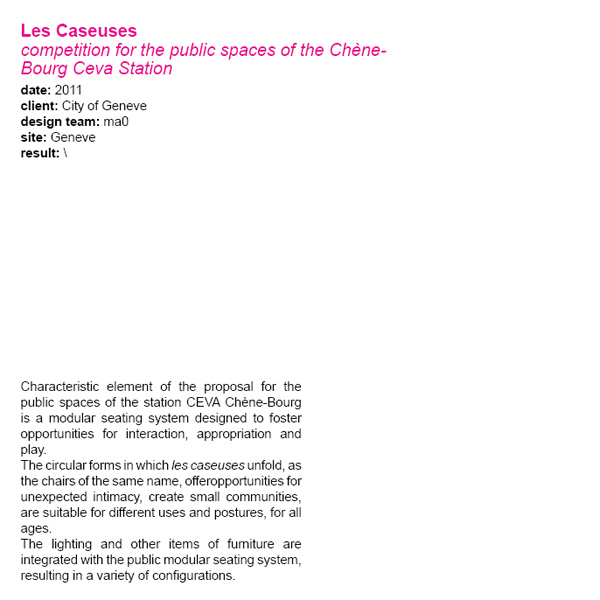 The circular forms in which les caseuses unfold, as the chairs of the same name, offeropportunities for unexpected intimacy, create small communities, are suitable for different uses and postures, for all ages. 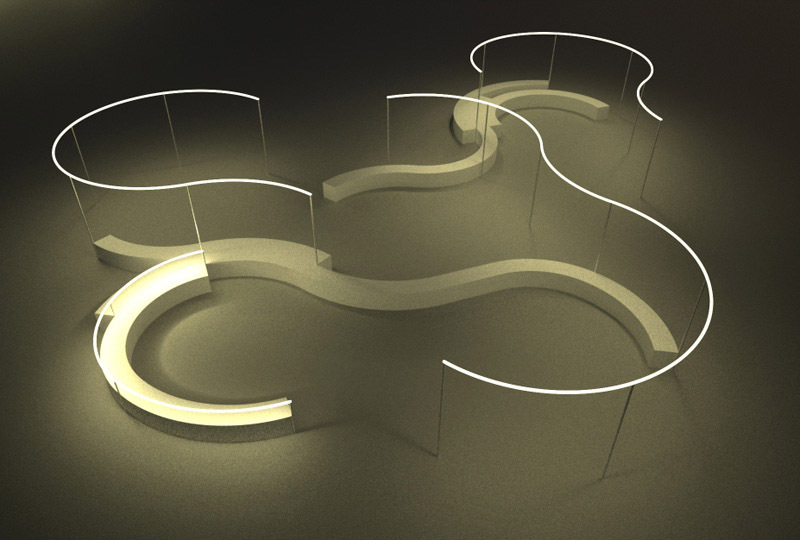 The lighting and other items of furniture are integrated with the public modular seating system, resulting in a variety of configurations.